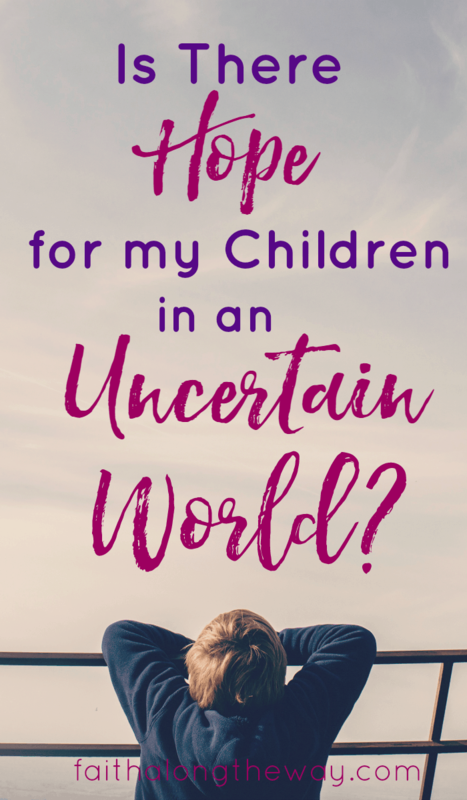 Is There Hope for my Children in an Uncertain World? There is overwhelming joy and raw emotion in reminiscing about old photographs. With tear-stained cheeks I recently remembered when my kids were small. It seems like yesterday they were trying solid foods and learning to walk. These precious memories reminded me of the fleeting nature of life and how quickly time passes. It’s hard to comprehend that in another five years, they will be tweens and much of their childhood will be behind them. Instinctively I longed to protect them from an uncertain future and the unknowns they may face. I wanted to shelter them from hardship and persecution. I wanted to spare them discomfort and conflict. I wanted to erase cruelty and intolerance from their lives. As tempting as it is to shelter them from a hostile world, it isn’t realistic. God never promised comfort, peace or immunity from turmoil here on earth. Instead he invited His children to experience hope and security in something greater than our circumstances or economic status. 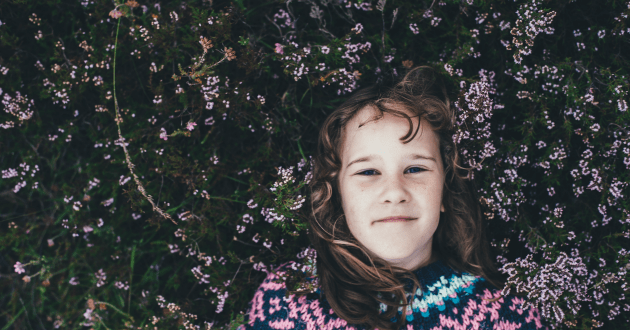 Through the grace of Jesus, a mom’s heart can have hope for her children in uncertain times. God’s promises span eternity and are a beacon of hope for all mankind. In our darkest hour and in our greatest need, we never walk through life alone. God’s presence guides our path and is constant in a changing world. When the future seems bleak and the nature of this world too much to bear alone, we have hope that God has already won the battle against evil. He still reigns! Watching the news is almost too much to bear. It’s filled with violence and hatred from a confused and lost world. Yet God is not surprised. He isn’t shocked and baffled by the current state of affairs in our country. He knew that sin would cause confusion and mask His Truth, yet He’s still on His throne and reigns with ultimate authority. He longs to comfort His children and offers a hope-filled life grounded in His Truth. God knew the world, in all it’s depravity, was not a permanent home for His children. As tempting as it is to long for comfort and a life of ease, a child of God will never be fully satisfied here on earth. We were designed to intimately know God and experience deep fulfillment in His presence alone. Cling to the promise that this world isn’t our home and that God is preparing a place for His children. One day, God will permanently erase our tears and the sting of unmet desires. Then the troubles of this life will fade in the midst of His holy presence. The children of God have a mission here on earth. We’re not called to hide from the world, cowering with fear and afraid for the future. We are charged with bringing the message of Jesus to a world in need. It’s our job to build relationships, extend grace and demonstrate the love of Jesus to a people in need of hope. No matter what the future holds, may we raise children with a love and passion for the Lord that changes lives right in our community. May our children live boldly for Jesus and fulfill their calling to be a light in a darkened world no matter the cost. When we’re hard pressed and the storms of life surround us, may we find comfort knowing that these troubles are fleeting. A future with Christ is filled with joy, hope and eternal peace with Him in Heaven. While it’s tempting to feel discouraged at the current state of our world, may we confidently place our hope in Christ alone. There we will find the strength to press-on in hard times, and the faith to trust our children with God’s perfect plan. 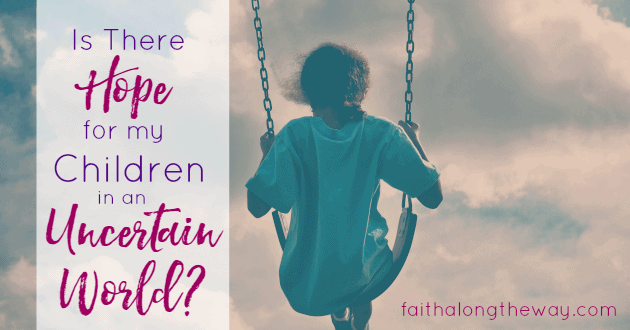 How do you handle fear of your children’s future?